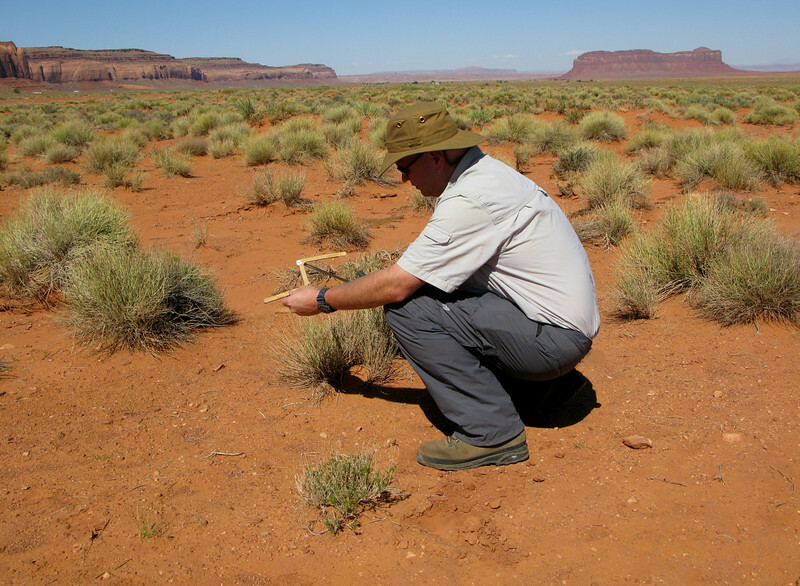 On the afternoon of July 17, 2010, Darrell Boucher reported that during landing and just before touchdown on Runway 16 at Monument Valley the wind suddenly shifted to a tailwind. The airplane, an experimental Kitfox III (N888TL) landed hard and bounced back into the air. Mr. Boucher then added full power in an attempt to execute a go-around. He stated that the airplane failed to climb and drifted off to the left side of the runway until the left wing hit the ground, resulting in the airplane flipping over. Mr. Boucher was the only occupant in the aircraft and was not injured in the crash. The accident was jointly investigated by the FAA and NTSB. The NTSB determined in a very short 3 months that Mr. Boucher failed to maintain directional control and compensate for the crosswind during the aborted landing. 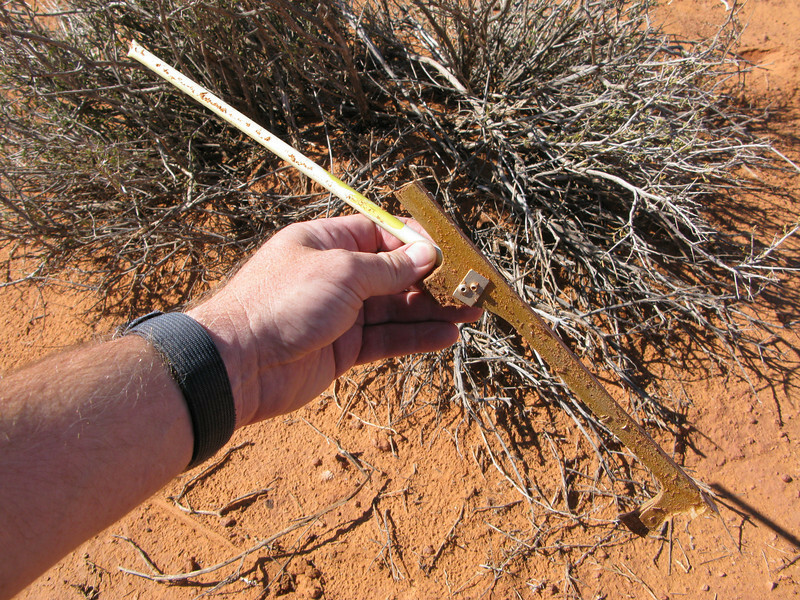 This site was located during the search for another wind related accident site at this remote private airstrip on the Navaho Indian Reservation. 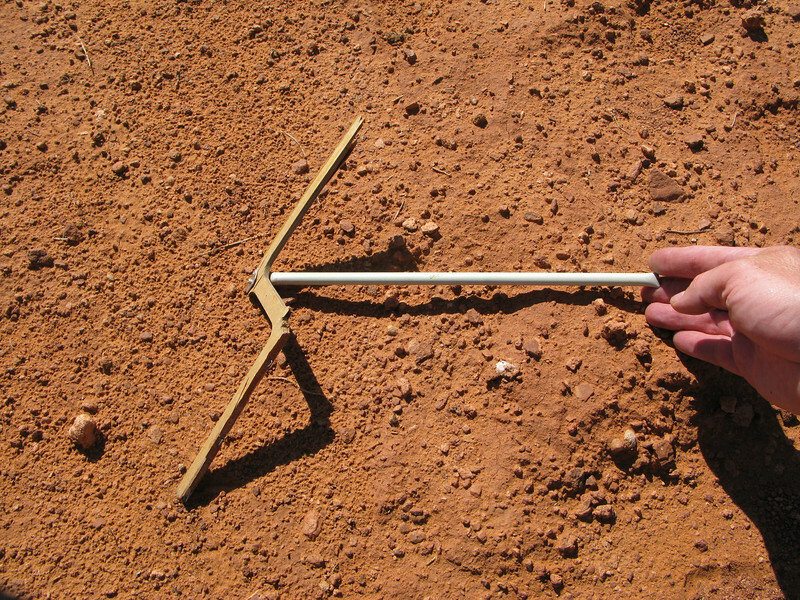 The low and slow impact crash site consists of only three or four fragments of wing structure. At first, the fragments were puzzling compared to other aircraft structures I have seen. The fragments had attach points utilizing pop rivets, staples, and small aluminum tubing. I figured I was dealing with some kind of ultra-light or light sport aircraft. A quick check on the NTSB's website accident database narrowed the possibilities to this accident. Luckily, no injuries. 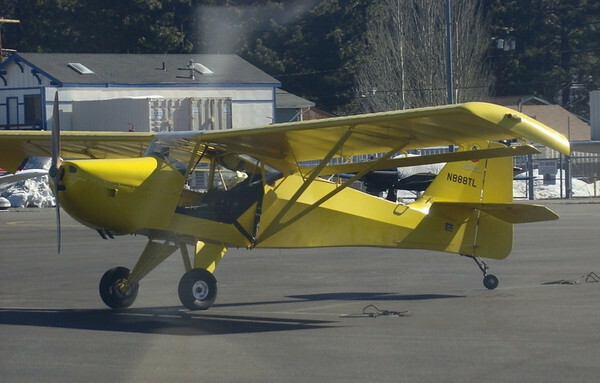 Leonard Trudy built the bright yellow Kitfox III (N888TL) in his garage in 1998. Issued serial number 980 by Kitfox Aircraft, LLC. the amateur-built experimental aircraft was powered by an 80 hp Rotax 912 engine. The aircraft was later sold to Darrell Boucher of Newport Beach, CA. in 2003. The Denney Kitfox is a series of small personal kit aircraft with folding wings that was originally designed and manufactured by Dan Denney and his company Denney Aerocraft of Boise, Idaho. The Kitfox is unique in that it was one of the first designs to make popular a quickly folding wing that greatly eased transportation and storage. The aircraft can be built in a two car garage and then towed to the airport with the wings folded. The design allowed for easy conversion to floats or skis. Over 4500 kits have been delivered in 42 different countries. 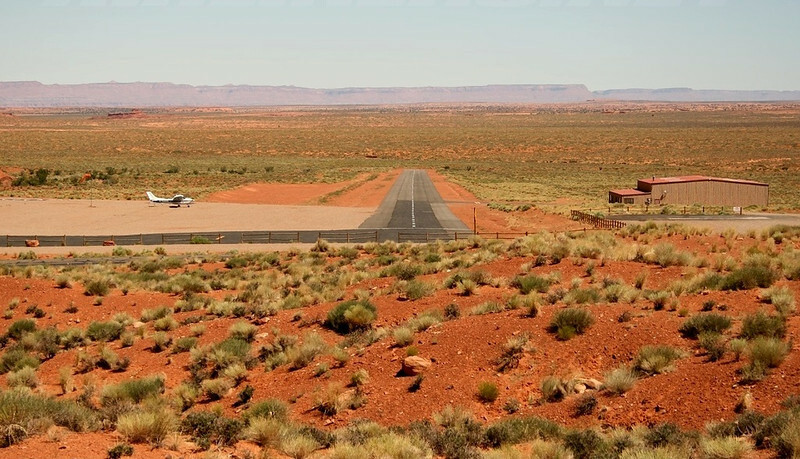 This private airstrip is located in Utah on private land owned by Goulding's Trading Post. The airport is surrounded by the Navaho Indian Reservation. The airport is prone to crosswinds and wind shear during periods of strong gusty winds. Landings are made to the south and Takeoffs are made to the north due to natural obstructions. 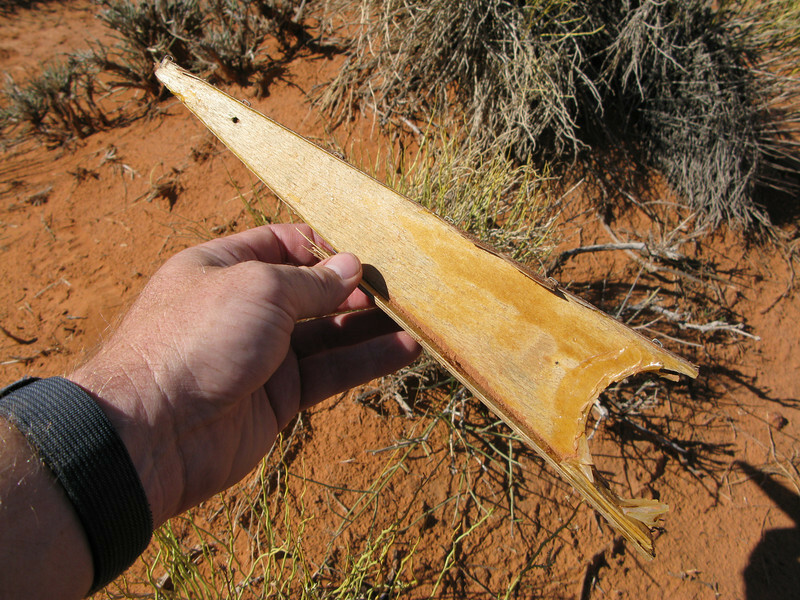 This laminated wooden wing rib fragment was one of the first pieces of the Kitfox that I spotted amid the shrubs. It was covered with lots of excess epoxy and had some staples holding some pieces together. Definitely a home-built airplane. This photo of an exposed Kitfox wing structure illustrates the location of the wing rib fragment. 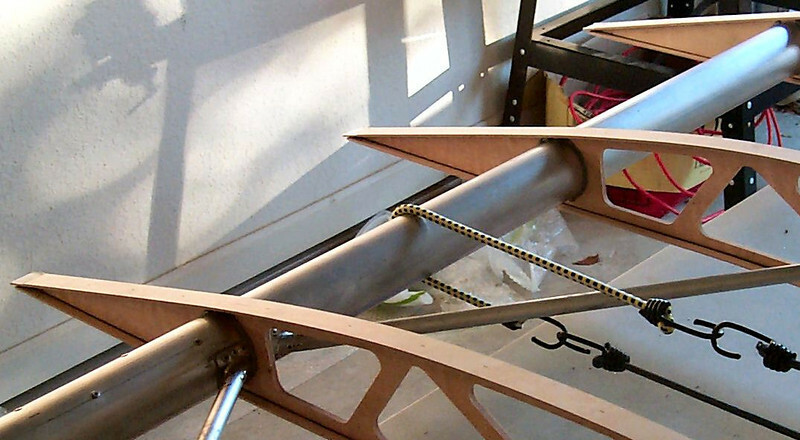 Note the aluminum tube rear spar. It wasn't long before I found another fragment. Some of the pieces were already partially buried from the occasional sand storms. This wing rib support fragment consisted of a stamped wooden structure with a small aluminum tube attached with a pop rivet. 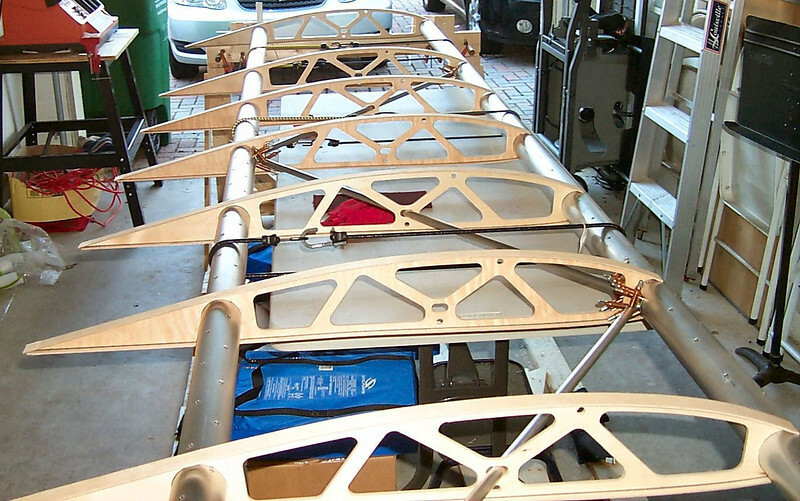 The "truss" type rib supports of the Kitfox's wing can be seen in this photo. I am not sure what part of the Kitfox this is from, but you can see how the pop rivets are used to attach some of the pieces. Most of the fragments I located at the site were related to the wing of the aircraft.